In this Japanese drama, set in the 17th century, samurai warriors fight each other in their search for a master in the wake of a Shogun-mandated decentralization. A prospective victim is forced to perform the ritual with a wooden blade. His family tries to cover up his degrading demise. It would be wrong for me to reveal the details of the story Tsugumo tells. What I can say is that it is heartbreaking. 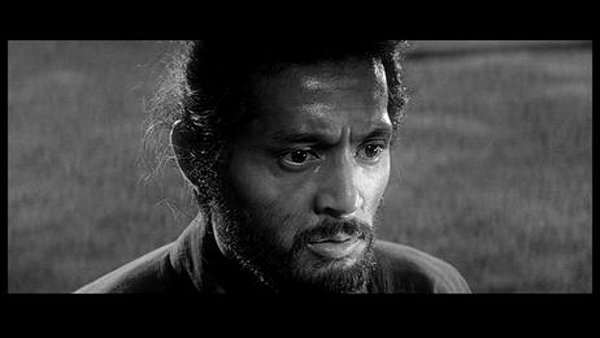 The film has a steady, hypnotic momentum; the director, Masaki Kobayashi, wrings as much drama out of facial twitches as he does out of sword fights. Both a thrilling character piece and a scathing take down of authority, Harakiri is a tour-de-force and a compelling look into the facade of institutions. The 1962 single masterpiece uses ploys of the written word in picturing the past and/or far away to criticize the present. A masterful chess game, filled with many carefully constructed moves, each arranged to fit in a particular place. It's glorious to behold. even if Kobayashi's first period film is an exemplary tale speaking as much to our own times as to Japan's feudal era, it is also a ripping yarn, keeping the viewer gripped with its jigsaw structure and intense performances. Beautifully written, wonderfully directed and amazingly acted. Harakiri is a creative, inteligent and awesome film. One of the few movies you can call it perfect. Masaki Kobayashi's tormented drama is a timeless tale about the changing of times. How the lives we create, built on shifting sands, can so easily disintegrate with the advancement of a simple breeze. During the Edo Period, which saw the rule of the Tokugawa shogunate, peace and stability ruled the land. Forced to disband, many warrior clan released thousands of Ronin (lordless samurai) out into the land. Many became impoverished; stripped of their life's work. This particular story follows the aging warrior Hanshiro Tsugumo and his request to commit Hara-kiri on honorable grounds. There he is greeted by Umenosuke Kawabe, the feudal lord of the Lyi clan. Still drunk on the power and tradition of the Bushido Code, Umensokuke is intent on letting Hanshiro fulfill his request. Lately, there have been a slew of Ronin who in demanding honorable death; are really expecting coin. When Hanshiro inquires about a man who recently made a similar demand, a game of mental chess ensues between Hanshiro and Umenosuke. It soon becomes apparent that Hanshiro has a connection to a previous Ronin, Motome Chijiiwa, who recently spilled his own blood in this place and Kobayashi masterfully unravels the story through a series of flashbacks. Released during a time when "Chambara" (sword fighting films) were vogue, Kobayashi subverts the glamorization of the samurai genre. Through his protagonist, he reveals the Bushido code to be merely a facade. A societal adhesive that many clung to even when the ever-evolving society rendered it obsolete. He also undermines the glamor of Chambara pictures by revealing the stark reality of the "honorable" samurai culture. When Motome is forced to commit Hara-Kiri with a sword made of bamboo (he sold his real sword to help out his ailing son), it is agonizing to watch. Thrusting the dull blade into his gut over and over again, a swordsman stands by anxiously; waiting until he feels the ritual is complete before decapitating the poor soul. Using well placed dolly shots & canted angles, Kobayashi & cinematographer Yoshio Miyajima ratchet up the intensity. This coupled with a close-up of Motome's sweating brow as he laboriously impales himself - fully comprehending the horror of this act of "honor"- renders the viewer unable to find glory or honor in this act of self-immolation. Kobayashi frequently cuts to an image of armor that sits inside the Lyi palace to augment his message. Inside the armor is no living flesh. It is merely the relic of a bygone era. Sadly, many are unwilling to let go of the reigns, forcing their anachronism onto others in order to save face. It's a film that looks at humanity's capacity for change. In it, Kobayashi shows the viewer the folly of clinging to what is no longer; the irrationality of adhering to the impractical and the foolishness of coercing others to follow suit. For as the film warns: "What befalls others today, may be your own fate tomorrow." A powerful critique of the feudal system, the hipocrisy and the persecution of individuality. The parade of a false sense of "honor" that sacrifices human beings for the sake of a facade, an illusion of prosperity, of doing the "right" thing. Kobayashi's direction is impecable as usual, and the cast is top-notch. Pretty much what cinematic perfection looks and feels, we watch with a great sense of sorrow for Tsugumo. never with pity. One of the jewels of japanese cinema. I've been waiting a long time to watch this movie, but now I've finally seen it! This movie is different from other samurai movies, because it criticizes the samurai code; Bushido, and doesn't romanticize it. Nakadai is as wonderful as ever with his colorful range of expressions, nobody else can portray as much intensity as he does. Masaki Kobayashi (the director) definitely is a Master of Cinema!